The best distance runners in the state of Texas showed what they had Saturday at Old Settlers Park in Round Rock. The action kicked off with the Class 6A girls race and didn't stop over the next six hours as state champions were crowned in the Lone Star State. We've picked out some of the biggest highlights below. The Class 5A boys race was one of the most anticipated races of the state meet, and it was a showdown between Aledo's Graydon Morris, PSJA Memorial's Cruz Gomez, and El Paso Hanks' Michael Abeyta. All three got out to the front right from the gun. But within the first mile, Abeyta was pushing the pace along with teammate Roger Rivera. All three were in the mix through two miles, but it wasn't soon after when Morris started to drop the hammer. In the end, last year's Foot Locker Nationals runner-up took home his second straight win in 15:03.98, though it was the sixth fastest time of the day. In a surprise finish for second and third was Austin LBJ seniors Cameron Kleiman and Yaseen Abdalla. The duo ran 15:08.41 and 15:08.79, ultimately handing their team a surprise second-place performance with 87 points. Gomez and Abeyta would finish fourth and fifth in 15:11.36 and 15:15.72, respectively. El Paso Eastwood took home the team title with 62 points, putting together a 30-second spread and 15:42 average. Rounding out the top three teams was Lucas Lovejoy, which won 5A a year ago. The 5A girls race saw a tight team battle that came down to just 8-points. Frisco Wakeland and Boerne Champion were back-and-forth throughout, though it would be Wakeland who stretched their competitors thin, winning with 90 points. 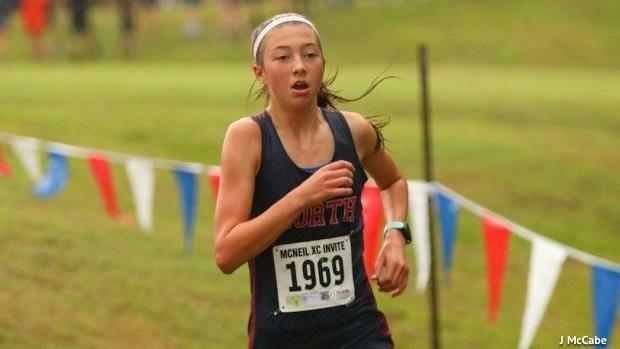 The individual title, however, was no contest at all, as McKinney North's London Culbreath earned her third straight title and was the only girls athlete to run under 17 minutes overall. While told Culbreath told Texas MileSplit afterward that she wsn't super happy about the performance, her 16:58.52 marks her third sub-17-minute performance of the year. Alex Maier was on a mission on Saturday. And the Flower Mound senior did not disappoint. He took home his first ever state title, and it came a year after he DNF'ed due to an Upper Respiratory issue at the same meet. Gritting his teeth in the final 100 meters, but looking strong as ever, Maier beat the rest of the field by almost 10 seconds. His time of 14:34.92 was the fastest of the day. Finishing seconds later was La Porte's Ryan Schoppe, who ran 14:43.88. Placing third to lead his team to a team title was The Woodlands Ryan Cardinal, who finished in 14:50.25. The Woodlands went 2nd, 5th 15th, 32nd and 45th for a team score of 99 points. The familiar names were right behind them. In second was Southlake Carroll with 113 points, while Flower Mound rounded out the top three with 117. The 6A girls team race was a major toss up: Was it Ashlyn Hillyard's race to win, or the ever improving Brynn Brown? Hillyard made sure to answer that question emphatically, winning in 16:38.30 for the fastest time of the day. Brown was second in 16:45.36. But in a surprise finish, the Class 6A team title went to Coppell after the team finished fourth at its region meet. The Cowboys scored 79 points with an incredible compression of 15 seconds. Placing second was Flower Mound with 93 points and in third was Prosper with 94. In the Class 3A race, we saw a dynasty come to an end. The Luling High School boys, winner of eight straight championships, lost for the first time since 2010. This year's champions were Eustace, which won with a spread of 67 seconds and a team average of 16:46. But it may not last. 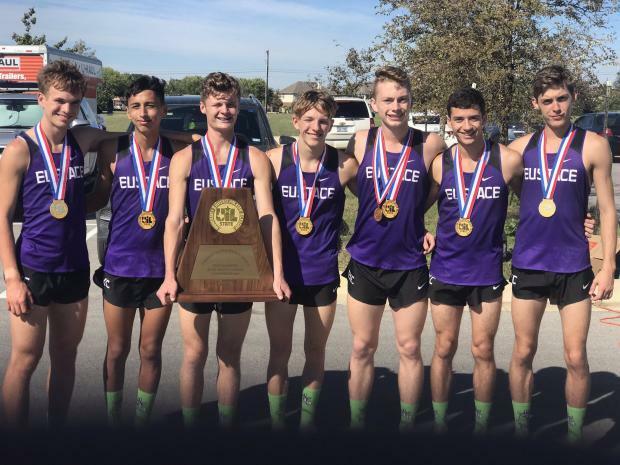 Next year Luling returns all seven of its runners, and the squad may be as hungry as ever to reclaim that title.